The original name of the Corn Festival Committee was Shippensburg Heritage and Recreation Planning Society, or SHARP. SHARP was a group of local residents alarmed by the demolition of some of the oldest buildings in their historic community. Their initial efforts focused on Shippensburg’s heritage, promoting awareness and preservation of the town’s rich architectural legacy that spans the 18th century to the present. Members and friends of SHARP underwrote a survey by a preservation consultant in order to prepare a Historic District application for the National Register of Historic Places. The cost of the survey was considerable, and the Corn Festival was created as a fundraiser for SHARP. SHARP member Ruth Friedline came up with the idea of focusing on corn, the area’s largest crop. The farsighted idea to hold the festival every year on the last Saturday in August is credited to Rose Dillner, another of the organization’s founders, shown above at the 2014 Corn Festival with Corny the Scarecrow. 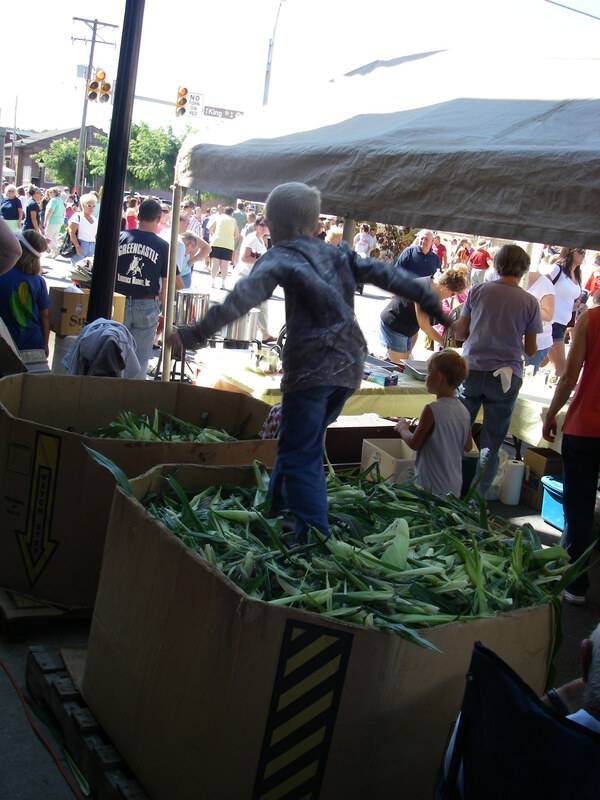 The Corn Festival marks its 38th anniversary in 2018. It is still run by volunteers who contribute the festival’s profits to local projects that preserve Shippensburg’s history, beautify the downtown and enhance the community.